I'm devoting most of the day to archiving so postings will be a bit on the light side. While I bang my head to the wall splitting .dv files, take a look at the latest entries of the buildings in Danbury Sharon noted at her wonderful site Main Street Danbury. Which reminds me, can someone help Sharon out with the history behind the building on 104 Main Street. I'd try and help but I have about 400 gig of video to burn onto DVDs. ...ugh, nothing is worse than dealing with .dv files. In response to my post on Homeless Veterans entitled "A National Disgrace" a veterans advocacy group based in D.C. send me this message. I am contacting you on behalf of Circle of Friends for American Veterans. We are a national non-profit organization located outside of DC that does grassroots advocacy to get homeless veterans the help they deserve. We have been in existence since 1993 and work with both veterans’ and homeless groups. One of our main efforts is a series of rallies held throughout the United States to attract media attention to the problem of homelessness among veterans. This coming year we will be in ten cities including Cedar Rapids, Iowa; Des Moines, Iowa; Las Vegas, Nevada; Manchester, New Hampshire; Columbia, South Carolina; Charleston, South Carolina; Detroit, Michigan; Philadelphia, Pennsylvania; Tampa, Florida; and Arlington, Virginia. The first rally will be in late December, and the last rally sometime in early to mid February. Using the media attention generated from these rallies as support, we hope spur government action to provide greater assistance to combat the problem of homelessness among veterans. We are a strictly non-partisan organization that only seeks to help veterans. In preparation for our upcoming series of rallies we are making a strong effort to let as many people know about our rallies as possible. The more people in attendance at our rallies the greater the show of support for homeless veterans. I read your post on November 12th entitled “A National Disgrace”. As our organization focuses on the issue of homeless veterans, I am wondering if there is some way you could help us get the message out about our upcoming rallies. Would you be willing to post some information about our rallies, and/or provide a link to our website? I know you are not located near any of the cities in which we will be holding our rallies, but we would appreciate any help you can provide. Our rallies have been very successful in drawing attention to the issue of homelessness among veterans. Also, our rallies spotlight local transitional facilities which report significant increases in donations and volunteers following our rallies. I have attached a PDF copy of our executive summary to provide additional information about our rallies. If you have any questions for me please feel free to ask, and I look forward to hearing back from you. For more information on Circle of Friends for American Veterans, you can click here to view their website and/or click here for a copy of their executive summary. • Yours truly walking up to the front of the chambers, and stared her down while smiling in her face until she coughs and abruptly leaves the chambers never to return thus ending her disgraceful and laughable political career on the Common Council. Seems like the City of Danbury is being sued left and right nowadays. I'll give you a rundown of whats going on after I drop off my filings and grab a copy of the complaints at the courthouse. 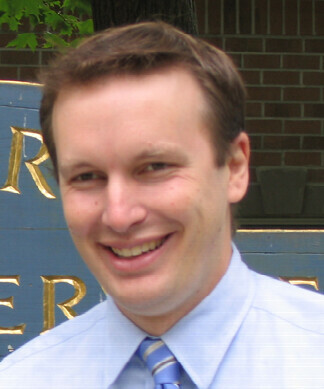 Tonight at 6:30 P.M., Congressman Chris Murphy will be liveblogging and taking questions over at My Left Nutmeg (MLN). If you have any questions for the Congressman, make sure to sign up and register at MLN before this evening. UPDATE: Due to the vote on the floor of the House regarding the Iraq War, the liveblog has been postponed. I'll keep everyone updated when the liveblog is rescheduled. UPDATE 2: The liveblog with Congressman Murphy is on for tonight on MLN. I'll update everyone when it gets underway. UPDATE 3: Sorry folks, I was at the cable advisory meeting last night for longer than I expected. Everyone's favorite local access host Tom Bennett made another cameo, had a MAJOR meltdown, and had the police called on him. As promised, I'll get everyone up-to-date on his nonsense and I have his entire tirade on videotape so we'll all get a great laugh at his expense. Because of the meeting, I was unable to notify everyone when Chris Murphy started his liveblogging. You can read his entry (including the Q&A session) on MyLeftNutmeg by clicking here. A very good episode worth watching. 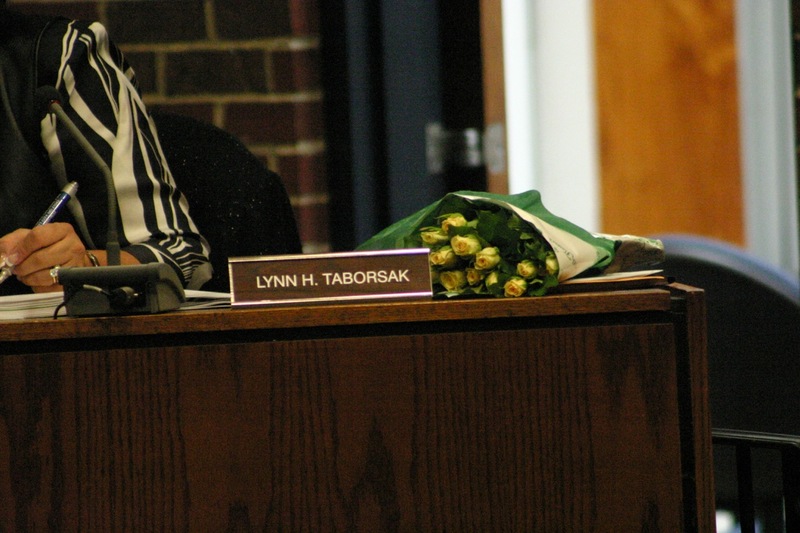 It seems like the head of the Board of Education is staying put after all. This last week has been filled with long moments of contemplation and wonder. As stated in my previous letter, I had received a wonderful job opportunity out of state and decided to take it even though it meant leaving all of you and the wonderful work that we have done together during the last year. At the eleventh hour, on Friday, what I have decided to call divine intervention came to pass and I received another offer from a company in Stamford. Having decided to take the Connecticut offer, it gives me great pleasure to rescind my previous letter of resignation. I appreciate your understanding and grace in this matter and I look forward passionately to all that we will continue to achieve together on behalf of the children of the City of Danbury. Sorry for the delay folks. I just archived over 300 gigs of video that I needed to get off my harddrives. I'm building a server in my house right now and working on upgrades for the site. If everything goes the way I'm hoping, you'll soon be able to view DVD quality video content on this site. IMPORTANT ENVIORMENTAL IMPACT COMMISSION MEETING TONIGHT! If you have any spare time, it would be in your best interest to attend tonight's Environmental Impact Commission meeting. On the agenda is the continuation of the Bear Mountain cluster subdivision proposal, which has generated quite a bit of buzz among the residents in that area. If you missed the first hearing, you can view it below courtesy of Danbury Live. Sen. Louis C. DeLuca announced his resignation shortly after 1 p.m. today, ending a 17-year career in the Senate and a five-month controversy over his dealings with James Galante, a trash hauler accused of having ties to organized crime. DeLuca struggled to remain composed as he read aloud a two-page statement. His wife, Alice, stood by his side, her right hand on his left shoulder. "For now, I must do what is right for my family, my district and my state. 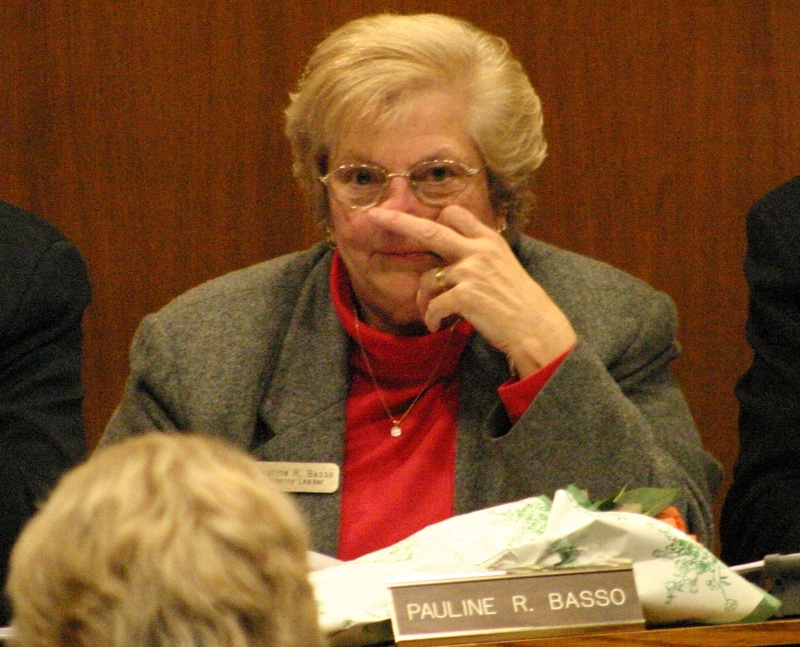 I will retire from the state Senate and resign my office, effective Nov. 30, 2007," he said. Then he thanked his supporters and added, "I love you, and farewell." UPDATE: In honor of DeLuca, I repost this goodie. (hat tip to the drunk in New Milford). Who will be the next elected-official to be taken down by Galante's hands? "I commend the Senators of both political parties who worked so diligently on this matter and put partisanship aside for the greater good. As the state's chief election official, I stand ready to accept Sen. DeLuca's resignation and to work with constituents, potential candidates, and local election officials to ensure the special election to replace him runs smoothly." While the date of the special election is uncertain, according to state statute, it must take place no later than 56 days after Sen. DeLuca's resignation takes effect - which is November 30th. Once Sen. DeLuca resigns Gov. Rell has ten days to issue a writ of special election. The special election is held 46 days after Gov. Rell issues the writ. Assuming the writ is issued on a Friday, the date of the special election would be either January 15th or January 22nd." I'm kneedeep in dealing with legal paperwork for this site (I don't envy lawyers one bit although they get paid well). Around this time of the year, I try to look at ways to improve and expand the site and hopefully after everything is taken care of, this plan of mine with expanding HatCityBLOG to HatCityMEDIA will take off. I'll fill everyone in on the happenings with this site over the next few weeks. In the meantime, I STRONGLY encourage you to scroll down and watch the latest edition of Danbury Live and the situation happening at Bear Mountain. It's just ANOTHER case of a developer wanting to place CONDOS on land that should be deemed open space. Open space...hmm, where didn't I hear someone say something about that during the campaign season? Although Veterans Day was yesterday, I found this story extremely disturbing. More than 25 percent of the homeless population in the United States are military veterans, although they represent 11 percent of the civilian adult population, according to a new report. On any given night last year, nearly 196,000 veterans slept on the street, in a shelter or in transitional housing, the study by the Homelessness Research Institute found. 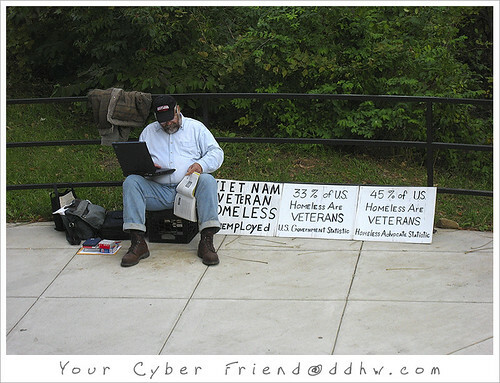 "Veterans make up a disproportionate share of homeless people," the report said. "This is true despite the fact that veterans are better educated, more likely to be employed and have a lower poverty rate than the general population." The president of the institute's parent group appealed Thursday to lawmakers and civilians to help solve veteran homelessness before thousands of U.S. service members return from Iraq and Afghanistan. "We know that veterans don't immediately become homeless after they're discharged, but the difficulties may take years to emerge," Nan Roman, president of the National Alliance to End Homelessness, said in a news conference about the report's findings. Homelessness veterans has been an ever-growing problem nationwide and finding vets living on the streets in Danbury is no difference than in other cities across this country. One of my first projects in college was reporting on the homelessness and it seems like the problem has only gotten worse. Take a walk to the Danbury Public Library and you'll see what I mean. Virginia senator Jack(doh) Jim Webb talked about this national disgrace when the report was released last Thursday on CNN's The Situation Room. Just days ago, a new national report showed once again how heavy the weight of war hangs on those who have taken the mantle. The National Alliance to End Homelessness reported Thursday that, although one in 10 Americans is a veteran, they account for 25 percent of the homeless population. Already veterans from Iraq and Afghanistan have been found living on the streets. Many fear that as the number of veterans returning home swells, and the years pass, we will be inundated with thousands of homeless men and women. The perils are expected to be greater in part because for the first time we will be dealing with significant numbers of female veterans, who often bring with them children. Whatever our thoughts about the current war, we simply cannot allow this to happen. The factors that contribute to homelessness are many and varied; still, it seems like an issue the world's wealthiest nation ought to be able to conquer. This is especially true when it comes to veterans. Given our resources, there simply is no reason to tolerate the notion that a man or woman who was prepared to die for this country ought instead to find him or herself homeless in it. There are plenty of ill-conceived government programs, but providing housing to vulnerable veterans seems like the sort of job the government could handle easily, if the money and the will are there. Veterans become homeless because they return from war broken and lonely, and vulnerable to a variety of well-documented problems: drug and alcohol addiction, mental illness, post-traumatic stress disorder. There is a system, albeit badly run and under-funded, that is supposed to help them deal with these problems. Obviously we need to do a better job managing it. The nation also needs more veterans housing. The National Alliance recommended adding 5,000 more units a year for the next five years, for a total of 25,000; it also recommends creating a voucher program for veterans and another program to provide housing aid to veterans who are working but unable to afford high rents. A large percentage of veterans pay more than half of their income in housing each month. Surely, given all that veterans have done, the nation ought to be able to find the political will to get these sorts of programs funded. Without a set of comprehensive programs that make veterans' return to civilian life as easy and painless as possible, then this day seems little more than a token. The best way to honor those who fought for our freedom is to help those who now need our assistance. OMG, looks like local access host Kevin Gallagher might have a point when it came to the reliability of the new optical scanning machines. The talk around the blogosphere today focuses on the chaos in East Haven regarding the bizarre discrepancies in the vote totals. You can read Connecticut Local Politics and My Left Nutmeg's take on the matter or you can go to East Haven Politics and read about the horror yourself. Challenger, and now mayor-elect, April Capone Almon won on election day by a margin of 21 votes, triggering an automatic hand recount. That recount, which took place on Sunday, resulted in a tripling of her margin of victory to 63 votes. However, the town moderator, Lori Jaffe, is refusing to certify these final results because of a discrepancy - of about 130 - between the total number of ballots counted in the recount and the total number of voters who were appeared to have voted on election day. The town moderator is insisting on guidance from Sec. of State Bysiewicz before continuing. According to East Haven Politics, Bysiewicz shares some of the blame here for not being proactively involved. From East Haven Politics, here's video footage of the announcement. Although this didn't happen in Danbury, we all should be very concerned about this matter as it goes to the heart of new voting system. This is not good news for the Secretary of State. Again, please visit East Haven Politics for the details. UPDATE: Coming on the heels of the insanity in East Haven, The Connecticut Citizens Action Group (CCAG), League of Women Voters, CTVoters Count, and Connecticut Common Cause, formed a coalition named Connecticut Citizen Election Audit Coalition and are looking for volunteers to act as observers during the optical scanning machine audit. To ensure the integrity of the election and generate voter confidence in the new voting machine, Public Act 07-194 mandates audits of randomly selected districts and races in each primary and election. Non-partisan, independent observation of post-election audits will support voter confidence in the integrity of Connecticut elections by helping to identify any specific problems with the audit process and providing feedback on audit procedures. What will volunteers do? Volunteers agree to be available for one day to observe one entire post-election audit in a town near their residence, to participate in training via telephone prior to the audit, and to agree to a code of conduct during the audit observation. The coalition will provide a Citizen's Audit Kit, training via telephone, and volunteer scheduling. The audits will take place between November 21 and November 26. Where will the audits take place? Voting districts will be selected by a random drawing currently scheduled for November 14. Audits will take place between November 21 and November 26. Volunteers will not be asked to observe in their town of residence. If you're interested in helping out, click here for more information. Common Council meeting, 11.08.07. Photo by ctblogger. In honor of Lynn Taborsak, from April's Common Council meeting, here's a speech for the ages regarding the hurried city budget process. Learn a little something about Veterans Day, including why November 11 is so important. Stop and Shop, Newtown Rd. 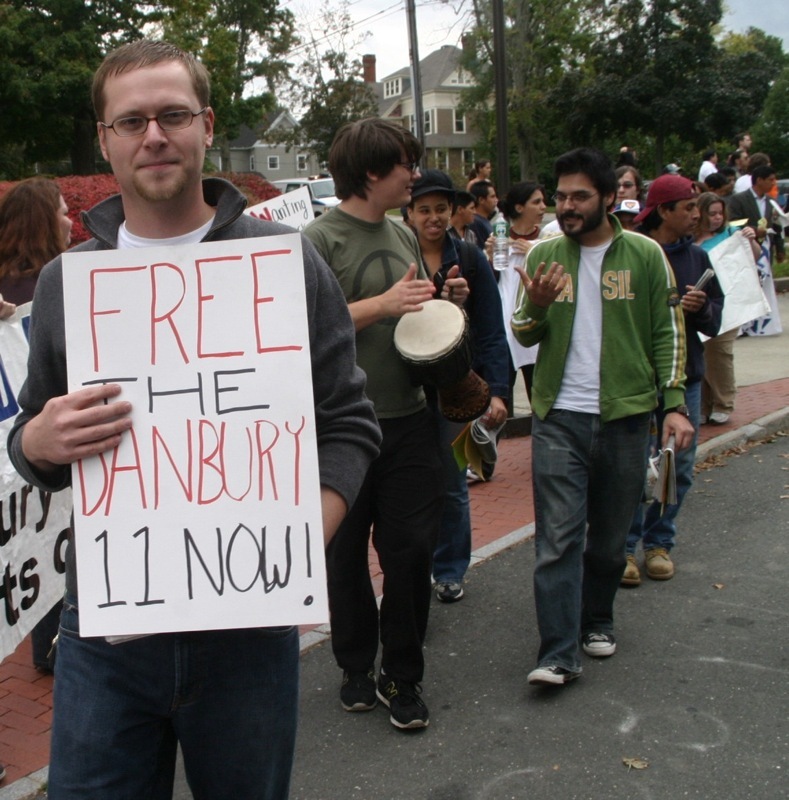 Photo by ctblogger, 11.11.07. I'm beginning to think Danbury is this Congressman's second home. 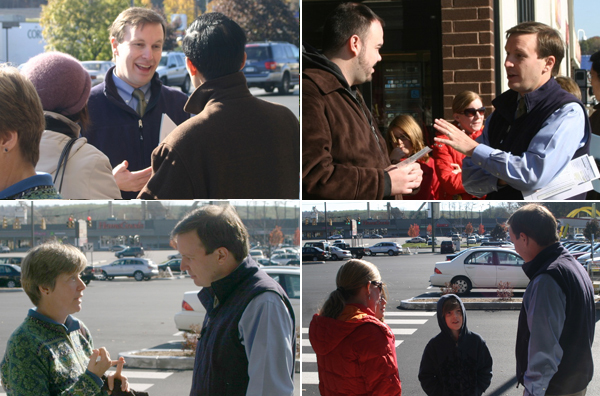 On Sunday morning, Congressman Chris Murphy's "Congress on your Corner" made a stop to Danbury's Stop and Shop on Newtown Road. With topics ranging from the the war in Iraq and health care, to concerns with the No Child Left Behind program and the state of the economy, a steady stream of residents came out in the cold and chatted with the freshman Congressman. Before the event got underway, I was able to interview Murphy and ask him a few questions.